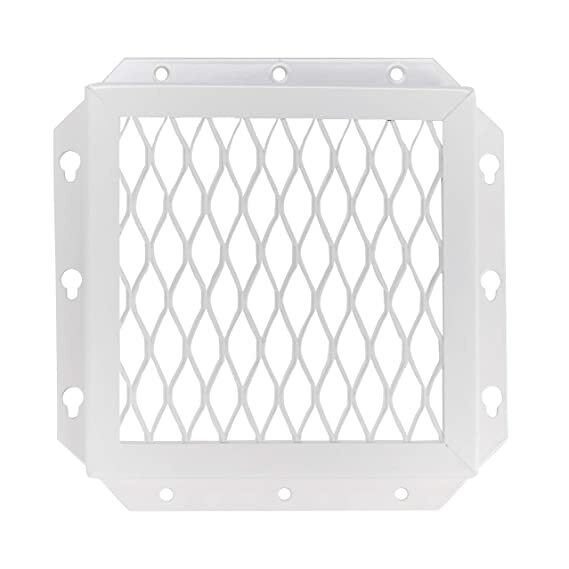 Easy to install over most 3” or 4” dryer or bathroom exhaust vents. This unit is an effective barrier to small animals, such as birds, squirrels and other rodents. 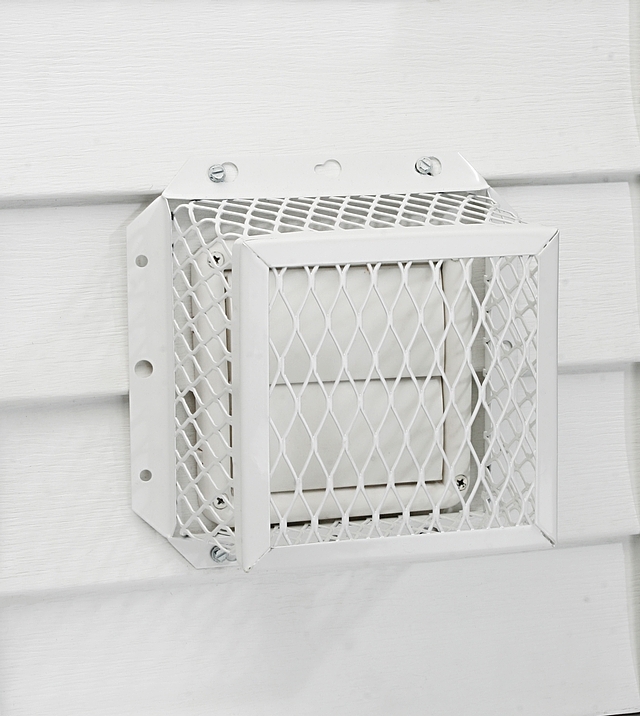 Keeps animals from nesting or entering your home thru vents. 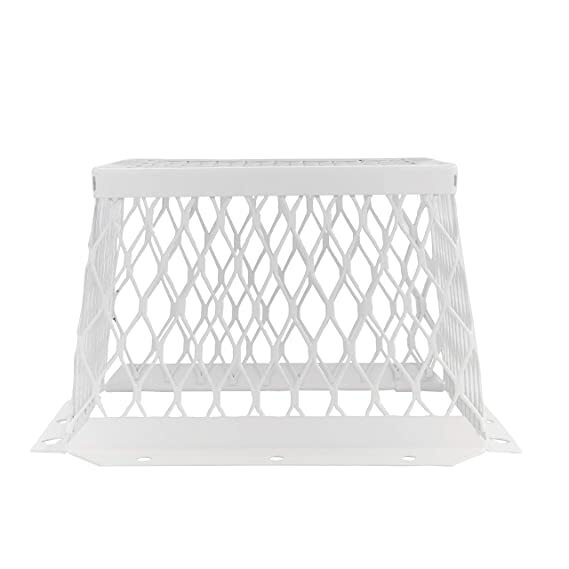 Made entirely of 100% heavy-duty 304 stainless steel mesh that will not rust or corrode. Animals CANNOT chew through the strong, durable stainless steel mesh. White powder coat finish is durable and blends into most exterior surfaces. Easy on/off keyhole for cleaning and removing lint.